How many of Romney’s accountants does it take to change a light bulb? At least two. One to screw the bulb in. The other to unscrew it before anyone has seen what has happened. This is intellectually dishonest from someone whose profession is supposed uphold the ideal of intellectual honesty. The implication of your joke is that Romney is hiding money in Cayman under bank secrecy laws. It would be more honest and accurate to state that Romney is taking advantage of a tax favorable jurisdiction. We all do the same. Consider an English professor at Columbia who makes a salary of $125,000. In NYC, he pays exorbitant state and city tax income tax that exceed 8% combined. in addition, he pays state and city sales tax that also exceed 8% (sorry, I no longer know the exact percentages). But if he gets an offer from Dartmouth for the same salary, he could live in New Hampshire and pay zero state income tax, zero Hanover, NH tax, and zero sales tax. One year of living there would pay his moving expenses. Why is this relevant? It’s relevant because the English professor at Columbia who is seduced by low tax rates in Hanover, NH is no different from Romney. Both professor and master of the universe seek opportunities to benefit froma tax favorable jurisdiction. And you can’t condemn it because it is the form of rational behavior in our era. There is nothing dishonest here. It’s Romney who won’t allow us to see his taxes, which even if legal may still strike most Americans as sleazy. (Or he may have done stuff that is in the grey area, for example, used Swiss bank accounts.) In any case, the point of the joke is that he doesn’t want us to learn about how he manages to keep his taxes so low. I don’t have to accuse him of illegality to make this claim. I expect more from a person who wants to be president than I expect from a person who is only and always calculating the bottom line. Romney has known that he wanted to run for president for years. The president is not a CEO. He or she has civic responsibilities. The way Romney has handled his taxes, as well as his imperious refusal to let us see just what loopholes he has used, is beneath the office of the president. That you think the situation of the English professor who has to move his home to get some reduction in his taxes is comparable to Romney’s situation, because apparently they are both being rational, is to miss the forest for the trees. The point here is that the tax code is set up in such a way that the Romneys of the world can take tremendous advantage of it without lifting a finger. Their accountants do it for them. Not so for middle income people. 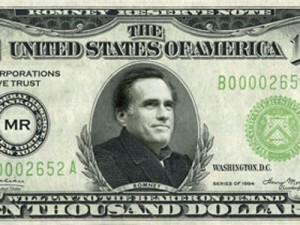 But note: no one forces Romney to look for every possible loophole, including moving money offshore. There are people as wealthy as Romney who have decided not to play these games. You do know that there’s an agency of the US Treasury called the IRS and that employees of the IRS — revenue agents, revenue officers and special agents — salivate at the prospect of finding a criminal violation of the tax code by a politically prominent wealthy individual? That it hasn’t happened yet should tell you something. You may rule out any possibility that Mr Romney’s unreleased tax returns are a treasure trove of tax evasion. Rich people and high income people (there is a distinction) without exception do everything in their power to minimize the taxes they pay. Some hire expensive tax lawyers with LLMs from NYU and others surf the Internet for tips from personal finance gurus. A Columbia professor might take a job at Dartmouth just to have done with the burden of paying a combined $15,000/year in local income and sales taxes. Although his only expertise lies in Derrida, Foucault and the Green Knight, he doesn’t need one of Mr Romney’s tax geniuses to explain the advantages of New Hampshire to him. In fact, a full professor aged 60 or so likely has an accumulated pension balance far in excess of $1,000,000 (likely an underestimate). How did the number get so high? Answer: 1) Employer (the university) contributions to the pension plan are excluded from taxable income; and 2) interest income, dividends, and capital gains within the pension plan are also excluded from taxable income. At some point, the full professor’s pension plan, including plan contributions, is earning nearly as much or more than the full professor, yet the tax rate on earnings attributed to the pension plan stays at zero. In order to capture the effect on his tax rate of paying no tax on plan contributions and plan income, you should divide the professor’s tax rate by two. In fact, that takes the average full professor, middle-income person though he be, down to Mr Romney’s tax rate. You have no legitimate grievance. If I were running for president, I would be happy to release the last 20 years of my taxes.